XCloner is another must have plugin for all WordPress sites. It gives you the ability to backup your entire site in a few clicks. XCloner creates an archive that contains both your website files and database that can be used to restore your website from a previous backup in a matter of minutes. 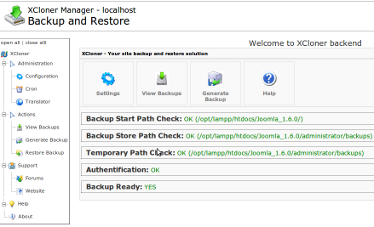 XCloner is a tool that will help you manage your website backups, generate/restore/move, so your website will be always secured! With XCloner you will be able to clone your site to any other location with just a few clicks. If a media file is uploaded within the edit screen, it will automatically be attached to the current post being edited. If it is uploaded via the Media Add New SubPanel or Media Library SubPanel it will be unattached, but may become attached to a post when it is inserted into post. The Unattach and Re-attach Media Attachments plugin allows you to unattach and reattach images and other attachments from within the media library page. I find myself needing this plugin whenever a gallery is attached to a page, and the only way to remove a photo from the gallery is the “unattach” from the page. 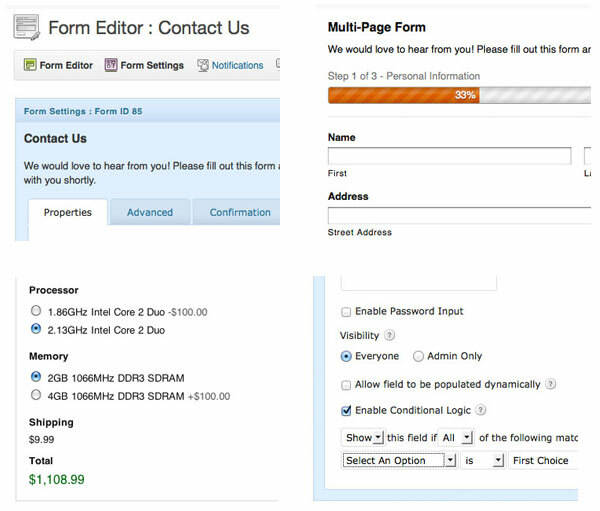 Contact Form 7 is a great form plugin if you just need a basic form. It’s very easy to set up and use and it’s free! WPtouch helps you create a mobile version of your WordPress site with minimal effort. WPtouch comes with some themes that you can copy and customize, or you can build a theme completely from scratch if your design requires it. The description of each plugin is short in order to keep this post from getting too long. I’ll need to write separate posts for each plugin in order to go into any detail, so stay tuned for more posts to come! Prebuilt WordPress themes, WordPress Frameworks or Blank Themes – Which is Better?